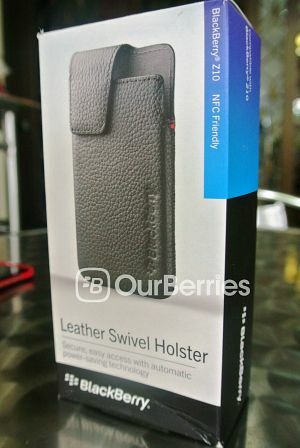 The BlackBerry Leather Holster is hand-crafted in genuine leather and has a soft inner lining for added protection. It also integrates power saving technology to help extend battery life. 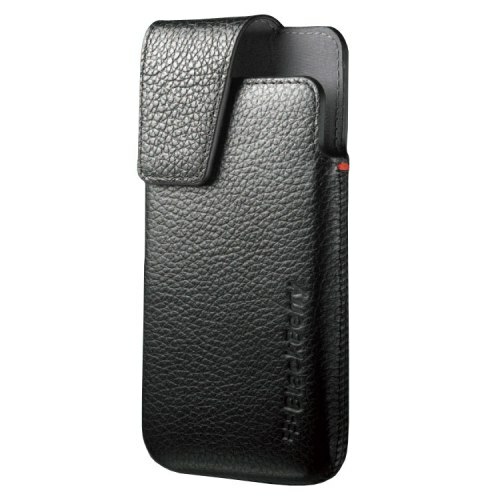 A durable 360 degree rotating belt clip and secure magnetic flap closure allows for personal wearing preference. 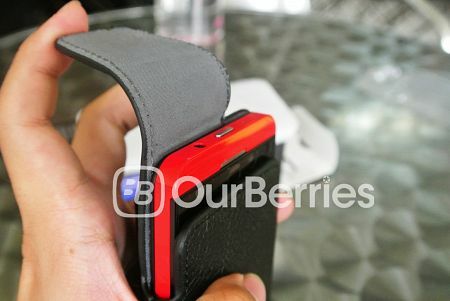 These cases are hand-crafted with genuine leather which is similar to that as the premium leather pouch which was sold separately from the handset. The interior is even lined with soft material (microfiber) to prevent scruffs and scratches from occurring when your device is sheathed. This also means that each time you slide it in, it should help clean the screen a little bit. 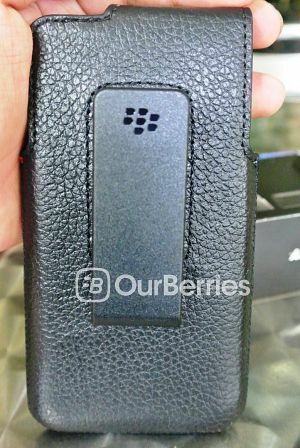 Like all the other official BlackBerry pouches, there is an integrated magnet that will put your device’s screen to sleep when its put inside the case, and it should wake up automatically upon taking the baby out. 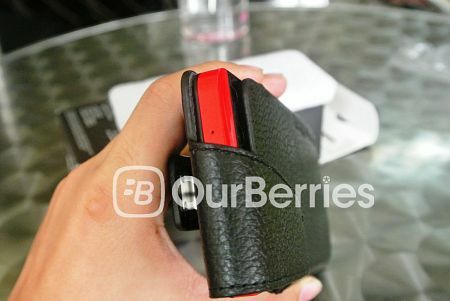 In addition, like the pouches from the older BlackBerry devices, there is also a magnet that keeps down the top latch of the case itself to keep your phone secured. Now, the belt clip, in this case, is a complete 360 degree rotational, made of plastic which I would not really call it rugged. Rugged cases are best left to the experts from OtterBox. All in all, this is a simple holster for those whom like to belt on their devices or have it “hooked” onto a bag. 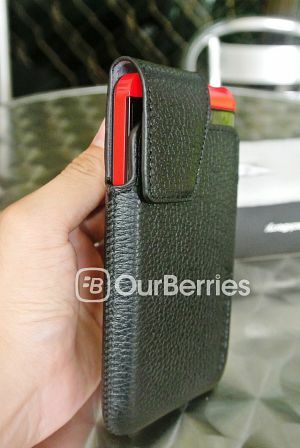 It does its job well, although the only gripe is that the 3.5mm jack is blocked by the flap. This pouch is available for $45.